Pretty easy, actually. Just change file extension in Explorer or Finder. There’s no need to change something in the file, because JPG and JPEG are synonyms. If you’re trying to change the quality, i.e. convert a bigger jpg into a smaller one, you can use our online image converter. It is capable of converting raw images into JPG and resizing. We support conversion of images from the most popular cameras, such as Canon, Nikon, Sony, Pentax, Olympus and Fujitsu. If you own a DSLR camera by Canon or Nikon, you most likely need a decent raw converter. If you want to send a picture, you just need JPG in most of the cases. 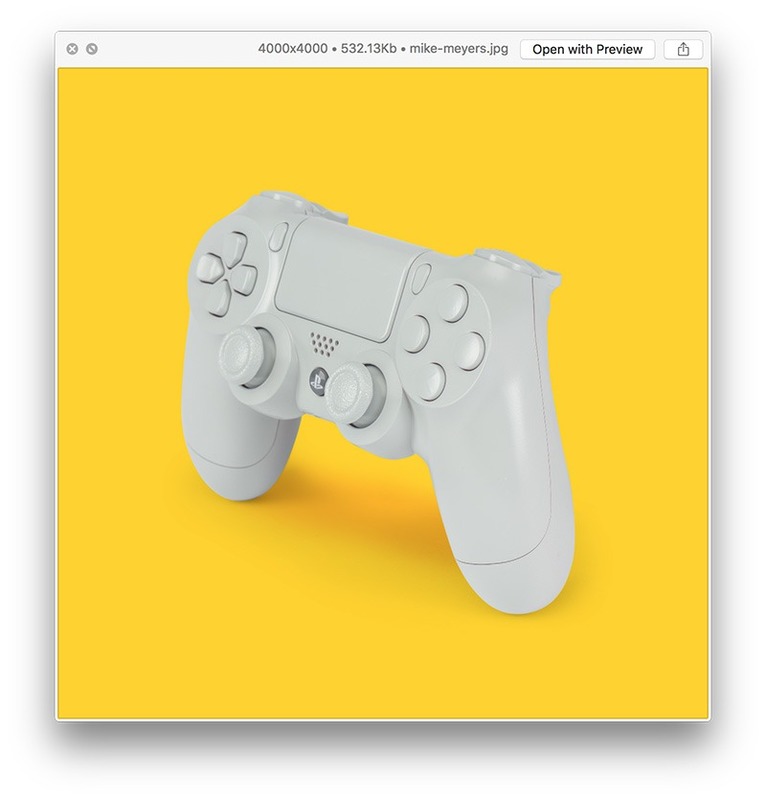 When you need to send photos to a friend or a client that doesn't have any program to open a file in .cr2 or .nef format, or when you need to show photos and there is no appropriate app on a computer, head over to online raw converter Raw.pics.io. To convert CR2 photos to JPG you need nothing but a modern browser. Good news is that you can also correct exposure of your images and resize them. Converting NEF to JPG online is easy too. Check out the page describing how to get your NEF files converter here. You can convert your photos to JPG online. You need nothing but a modern web browser: Chrome, Firefox and Safari work really well. To start working you just need to type raw.pics.io into the address bar and hit Return. One of the most common editing tasks is picture resizing, so we’ve built it right into our online converter. Just choose the right size of the output, and we’ll save your photo with dimensions you chose. 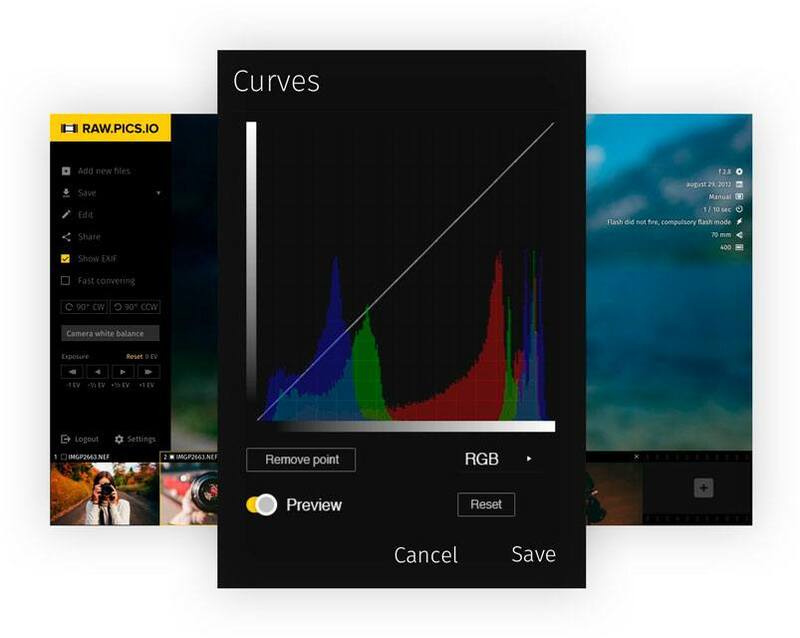 Crop, curves and a number of more advanced adjustments are available in our online photo editor. Our online converter works in Chrome, Firefox and Safari. 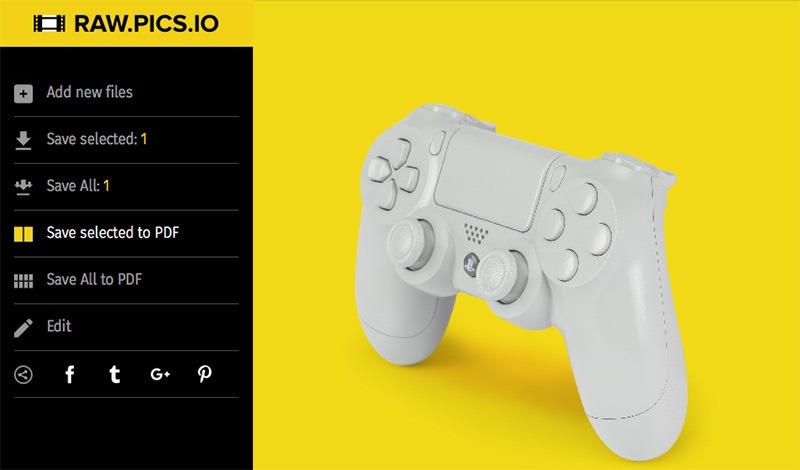 It doesn’t require fast Internet connection, because conversion happens on your computer and nothing is uploaded to the web. 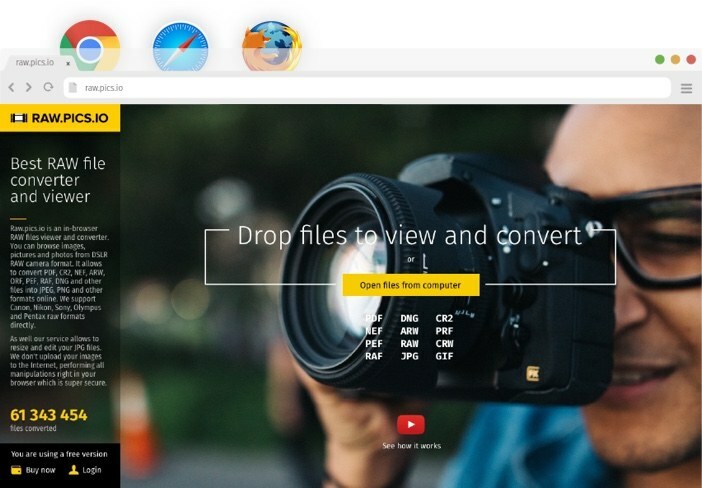 You can convert up to 5 images absolutely for free. JPG is one of the most common image format standards used for storing digital photos and web graphics. The degree of compression is adjustable and allows for a reasonable compromise between storage size and image quality. As for JPEG, this term has the same meaning, and both terms and are interchangeable. How to open and view a JPG file? Actually, you shouldn’t experience any problems opening JPG/JPEG files. This format is supported by all image viewers and editors, in all browsers and operating systems. Online services, such as Google Drive, support JPG files too. 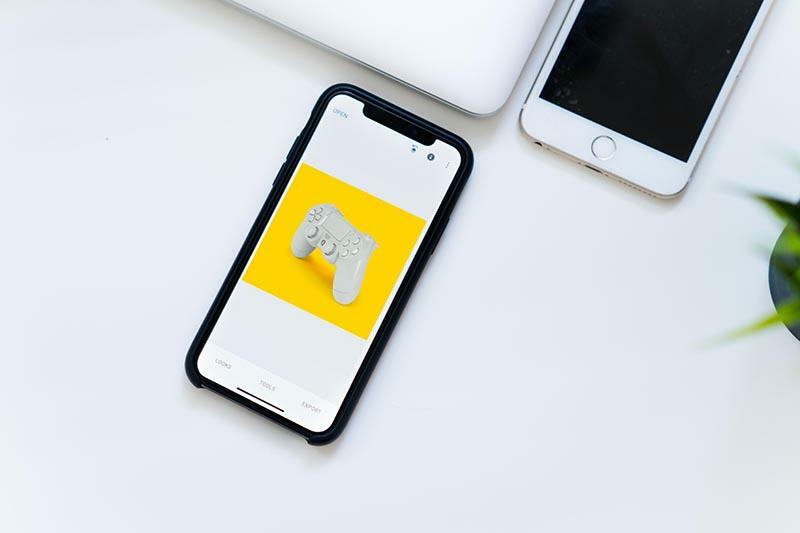 JPG images can be also opened effortlessly on mobile devices, which means that you can view them in your email and in text messages without a specific JPG viewing app. However, if you need to edit your JPG image or convert it into PDF or PNG, you will need a special software. The easiest way to convert and modify JPG files is to use raw.pics.io which is a free online viewer, resizer, and converter. It works in your browser and doesn’t require installation. 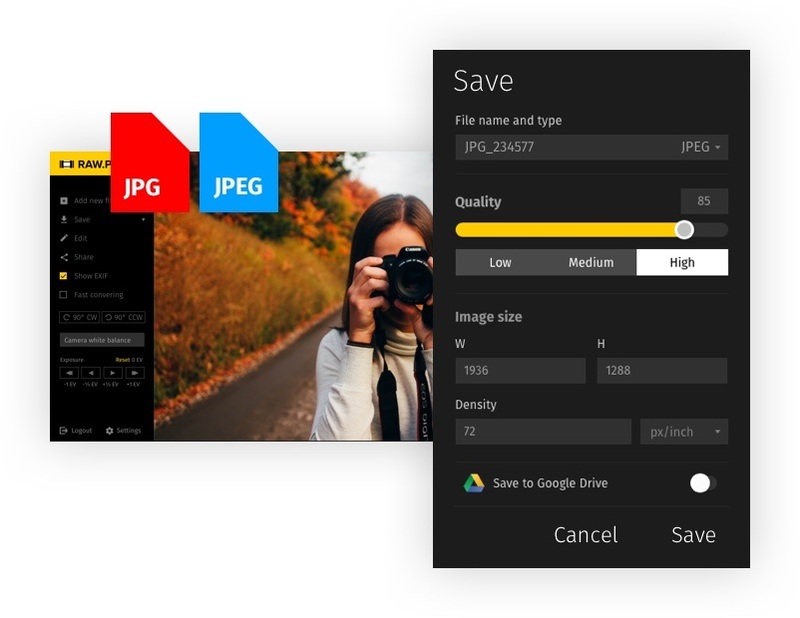 JPG is the universally accepted format for viewing and storing images, which makes it extremely portable and compatible with almost every image processing app and hardware device. Unlike RAW file formats, it’s a compressed file format, which is much lighter and much more transferrable than unprocessed RAW photos. Among the disadvantages, one should mention that JPEG compression technique is a lossy compression. It means that in the process if compression, certain content of the image is lost from the image, together with some quality. Besides, you should also bear in mind that once you’ve converted your RAW image (e.g. CR2, NEF or ARW) into JPG, there is no way you can do the reverse action. So, make sure you keep backups.